Free time in Vientiane until you transfer to the airport for flight to Luang Prabang. 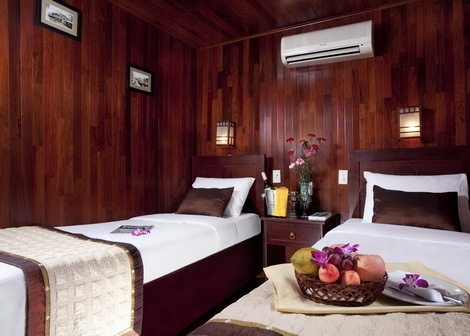 Arrive Luang Prabang and transfer to your hotel. At 08:30 – 09:00 you will picked up by your guide from your hotel and visit the elephant village. Today you will enjoy an experience of a 1 hour elephant ride and even some basic training in the simple techniques of becoming a Mahout. Have lunch at the village before bathing the elephants in the nearby Nam Khan River. Take a boat trip to Tad Sae Waterfall with its clear turquoise water before returning to Luang Prabang at around 3 to 4pm you will be dropped off at your hotel. Spend the morning in Luang Prabang before transferring for your flight to Hanoi. Visit the Ho Chi Minh Mausoleum, the President house, one pillar pagoda and the temple of literature; the first University of Vietnam built over a thousand years ago. Spend the afternoon strolling along the old city where you can shop. Spend the evening at a traditional puppet show. Depart Hanoi for the 2 hour drive to Halong Bay, board this luxury cruise, with a buffet lunch awaiting served on board. Cruise through the World Heritage site of Halong Bay. Experience a Vietnamese cuisine cooking demonstration on the sun deck. Spend the day around the World Heritage town of Hoi An visit the Japanese bridge, Fu Jian pagoda and Tan Ky house. Breakfast at hotel. Transfer to the airport for the flight to Ho Chi Minh. Spend the afternoon at the War Museum, Reunification Hall. Spend the morning at the Cu Chi underground tunnel system, which was used to fight both the French and Americans and included underground hospitals, meeting rooms and living rooms for Vietnamese soldiers. Return to Ho Chi Minh spend the afternoon at your leisure before enjoying dinner along the Saigon River. Drive to My Tho (2-hour drive from Ho Chi Minh City) and visit Vinh Trang Pagoda. My Tho is a prosperous town of 175,000 inhabitants in the Mekong Delta. It is famous for its extensive orchards and immense rice fields. Enjoy a boat ride on the Mekong River and visit an orchard on an island, with lunch en route at a local restaurant. Continue with a visit to a snake farm before proceeding to Can Tho. Breakfast at hotel. Boat trip on Rach Ngong river and visit fruit orchard and Cai Rang floating market. Lunch at local restaurant. Orient tour in town visit to the Khmer temple Continue to Chau Doc on the route visits to the Bang Lang bird sanctuary. Dinner and accommodation at hotel. Take a morning boat ride to Phnom Penh, you will be picked up on arrival at the dock in Phnom Penh. Have lunch at a nice local restaurant. Spend the afternoon around Phnom Penh. Visit Tuol Sleng S-21 a former high school turned into a prison and torture centre during the Khmer Rouge era. You will also visit the Royal Palace and Silver Pagoda. A modern hotel located in the heart of Hanoi, friendly staff and clear 360 degree views of Hanoi from the restaurant at the top floor. An overnight cruise in Halong Bay on the Huong Hai Junk, with lot’s of activities on offer including a Vietnamese folk music performance, fishing on the bay at night, kayaking, learning Vietnamese cuisine. The perfect location in the heart of Hanoi Old Quarter, just a block away from the Hoan Kiem Lake. A deluxe wooden junk boat designed in time-honoured traditional style, with contemporary and luxurious cabins and facilities. A great way to experience the natural beauty and spectacular seascape of this UNESCO World Heritage site. 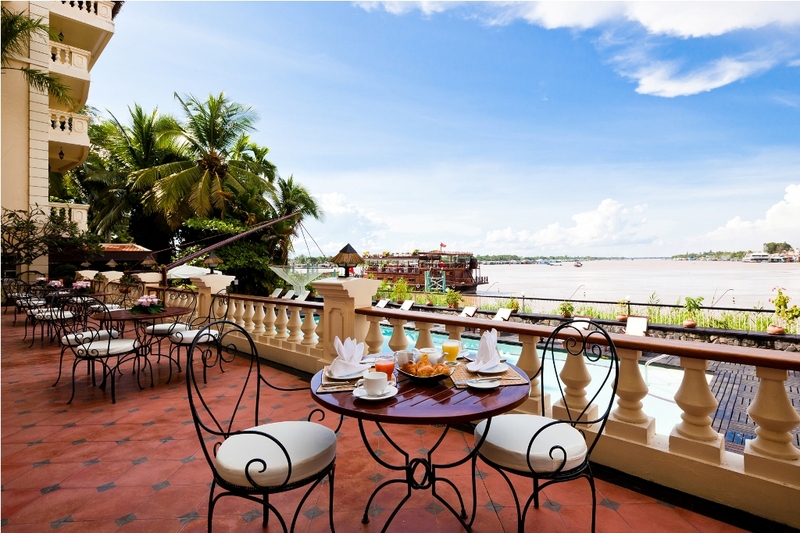 Located on the riverside in Hoi An with private balconies overlooking the river and gardens, giving a taste of traditional Vietnamese culture. 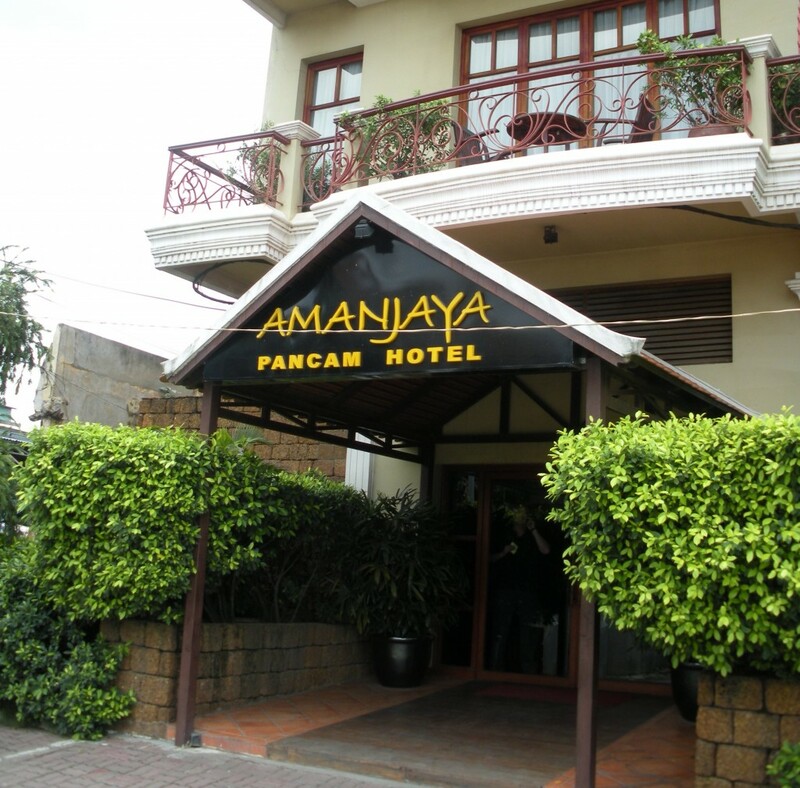 A excellently located modern hotel just a couple of minutes walk from the famous Binh Tay Market. An Indochina styled luxury wooden junk boat, enjoy an intimate candle-lit dinner in the Jasmine restaurant, or just relax and unwind in the Jasmine Spa, Halong Jasmine is the perfect way to enjoy the bay.